Yosef Cohen, one of two Nahal Haredi soldiers murdered in Givat Assaf shooting attack, laid to rest in Jerusalem. 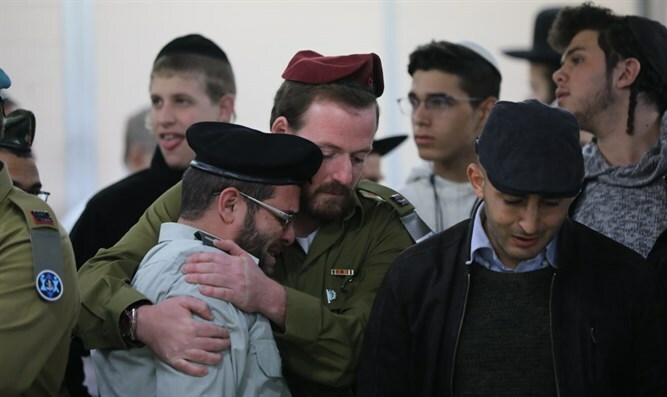 Family, friends, and comrades of Corporal Yosef Cohen, one of two IDF soldiers murdered in a Hamas terror attack near Givat Assaf north of Jerusalem Thursday, gathered in Jerusalem to mourn Cohen’s murder. 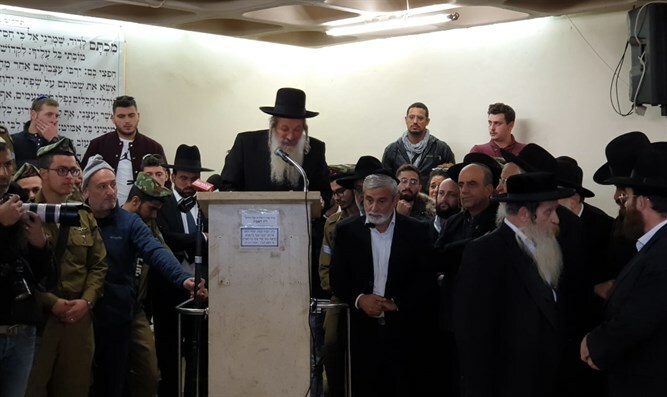 The funeral procession began at the Shamgar funeral home in the capital, continued on to the Breslov section of the Mount of Olives cemetery. “We didn’t know – we couldn’t believe – we didn’t think,” said Cohen’s stepfather, Rabbi Eliyahu Meirav, regarding the disbelief among relatives at the initial news Cohen’s death. Cohen, whose father died when he was a child, was raised by his mother and stepfather, Rabbi Eliyahu Meirav, an air force pilot who later became religious. 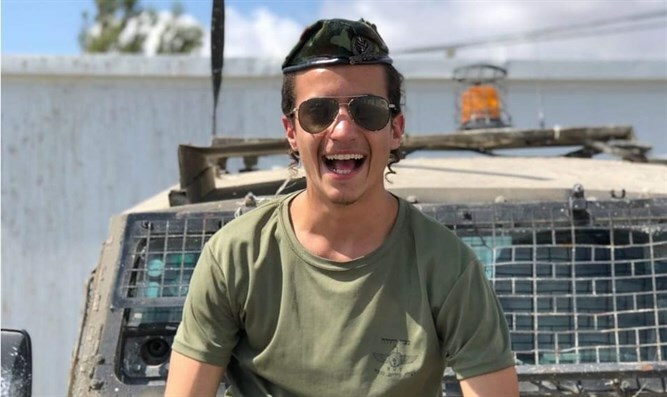 Cohen, 19, was serving in the Netzah Yehuda Battalion (also known as Nahal Haredi). At 11:00 a.m., mourners gathered at the military cemetery in Ashkelon to pay their final respects to Sergeant Yuval Mor-Yosef, the second IDF officer killed in Thursday’s attack. On Thursday, IDF Sergeant Yuval Mor-Yosef and Corporal Yosef Cohen were murdered by Arab terrorists in a shooting attack next to Givat Assaf, north of Jerusalem. Two other Israelis, including a soldier and a civilian, were seriously wounded in the attack. The attack was the second shooting attack this week by Hamas terrorists along Route 60 in the Ramallah area. On Sunday, Hamas terrorists opened fire on a group of Israeli civilians outside of Ofra, just north of Givat Assaf, wounding seven.